Our Mallorca office opened in early 2014 and boasts the same convenience as our Alicante office ensuring that your car hire in Mallorca is easy, efficient and stress-free. The shuttle service will take you quickly and efficiently to the office where Bea and her team will be ready to serve you and allow you to start your holiday with ease. 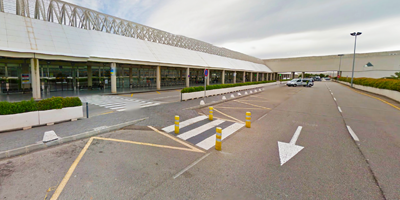 On arrival at the Palma de Mallorca Airport terminal building and as soon as you leave the baggage collection area, exit into the Arrivals Hall. Proceed to the nearest lift and go up to the second (2nd) floor. Once you are on the second floor, exit the terminal building and turn right. Walk along the pavement, following the direction of the traffic, and cross the first pedestrian crossing which is between the gangway to the car park and the end of the terminal building. The complimentary Drivalia Car Rental shuttle bus will meet you near the other side of that crossing and will promptly take you to our premises situated less than 2 miles away from the Terminal building. The shuttle service runs regularly throughout the day taking clients to and from the office and so if there is no bus on arrival don´t worry, it will be with you soon.